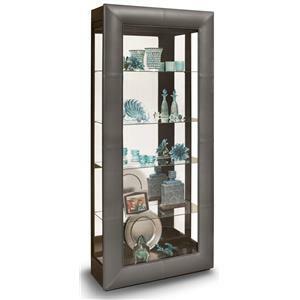 Decorate you home decor with this gorgeous curio cabinet. 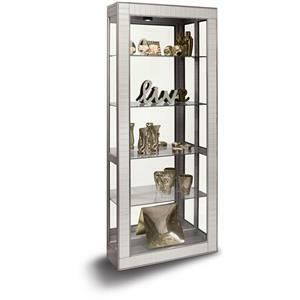 It features two sliding doors with a metallic espresso interior and five shelves. 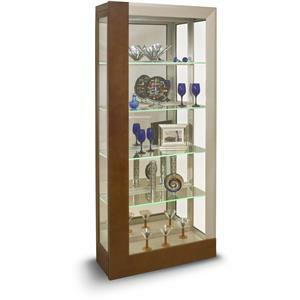 The single swag curve design adds a stylish appeal to this classic curio cabinet. 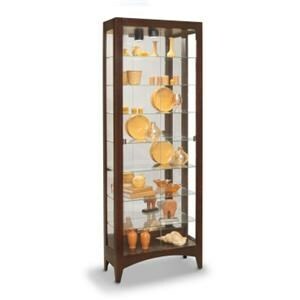 The Curios Gemini Curio Cabinet by Philip Reinisch at Colder's Furniture and Appliance in the Milwaukee, West Allis, Oak Creek, Delafield, Grafton, and Waukesha, WI area. Product availability may vary. Contact us for the most current availability on this product. 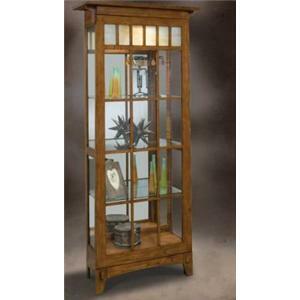 Outfit your living room, office, or lounge with a beautiful curio cabinet from this collection. Featuring a variety of design styles in finish colors ranging from Sand Shell White to deep Gold or Espresso, you'll be sure to find the perfect piece to match your home while showing off your precious valuables. The Curios collection is a great option if you are looking for Traditional furniture in the Milwaukee, West Allis, Oak Creek, Delafield, Grafton, and Waukesha, WI area.